Three #1 bestselling writing books bundled together for the first time! A complete course on writing fiction that sells, and how to live a successful writing life. These powerhouse books are packed with the tools, techniques and secrets that will take you to the next level of your writing journey. And beyond. 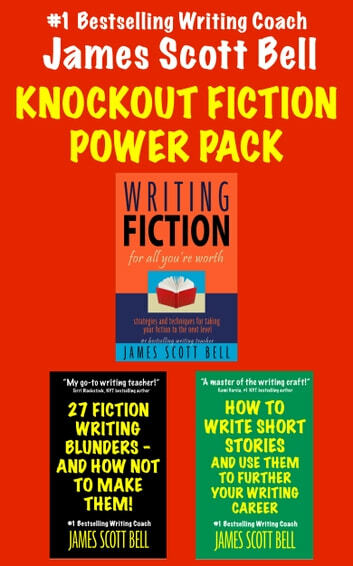 WRITING FICTION FOR ALL YOU'RE WORTH is a treasure trove of James Scott Bell's teaching, a virtual MFA in commercial fiction. You'll learn about the critical success factors for bestselling fiction, how to write un-put-downable action scenes, how to capture the interest of an agent. The keys to a dynamic opening page are revealed, and just as important, what NOT to do in the opening. There's plenty of inside information on what agents and editors say they're looking for and detailed instructions on how to write a stress free query. You'll learn what to put on your LAST page, when to use italics, how to write with courage. And a whole lot more. Added Bonus: Interviews with some of the top writers working today includingJeffery Deaver, Tess Gerritsen, Brad Thor, and David Baldacci. Plus, some of the blunders writers can pull on their own careers, including fear, false competition, market ignorance, and the neglected brain. Here are the essential ingredient for a successful short story, no matter the genre. The book shows how any writer—whether planner or "pantser"—can use this key to unlock infinite story possibilities. And turn readers into fans. Which is part of the strategy for short story writing today. With the coming of the digital revolution in publishing, short fiction presents possibilities beyond a one-time sale to a literary journal. Writers can use stories to increase discoverability, grow as a writer, generate some side income, and get back in touch with the sheer joy of writing. 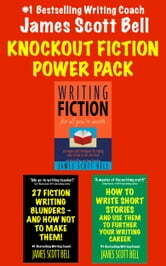 This book uses examples from the best stories by undisputed masters of the craft, including Ernest Hemingway, Raymond Carver, John Cheever, Stephen King and Irwin Shaw. In addition, five complete stories are included to show you the master key in action. Once you've been through this book, even once, you'll be well on your way to crafting short stories that readers love—which will build your fan base and boost your long-term writing career.